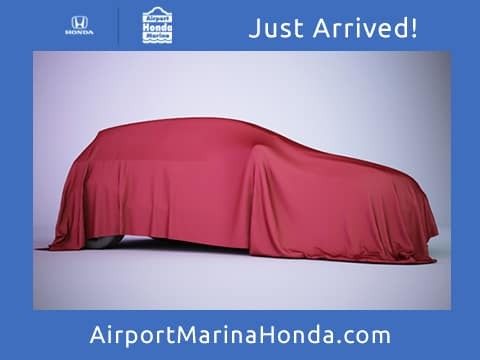 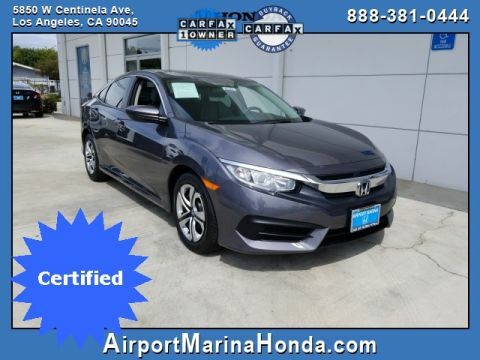 **** Honda Certified **** Price reduction! 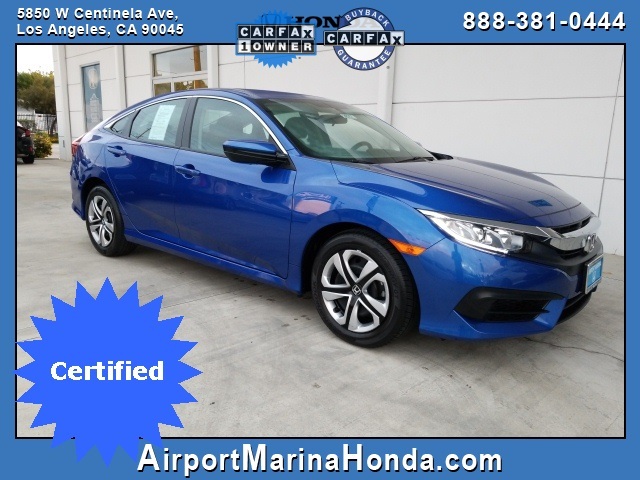 Check out this low mile, one owner, Certified 2017 Honda Civic LX Aegean Blue Metallic Carfax One-Owner and Clean 40 MPG Highway, Black/Gray, 4-Wheel Disc Brakes, ABS brakes, Brake assist, Delay-off headlights, Dual front impact airbags, Dual front side impact airbags, Electronic Stability Control, Exterior Parking Camera Rear, Four wheel independent suspension, Fully automatic headlights, Illuminated entry, Overhead airbag, Radio: 160-Watt AM/FM Audio System, Reclining Front Bucket Seats, Speed control, Steering wheel mounted audio controls, Tilt steering wheel, Traction control. 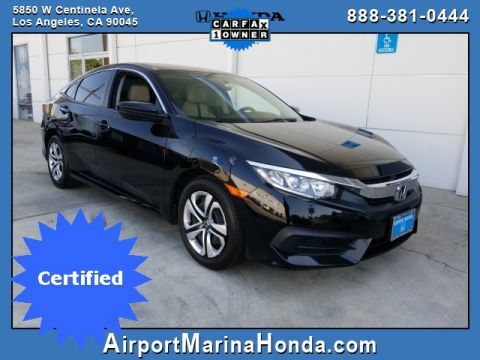 Odometer is 4572 miles below market average!